1) Solo project of Daniel Martin-McCormick of Mi Ami (Los Angeles). Hot and sticky humid DC nights. San Fran brotherly love bangers. You-Can-Have-It-All loftings in Brooklyn. Ital bounces between these like a mechanized conga beat, offering up the kind of cuts that make you move like the smoother, sweeter version of yrself. This is the ultimate reversal of the day that disco died, the perfect envisioning of a dance culture that threw away the cheeky kitsch of hustle hangovers but held on to the je ne sais quoi of glitterfeti neon nightlife. In 2012 Martin-McCormick released his debut album Hive Mind on Planet Mu. 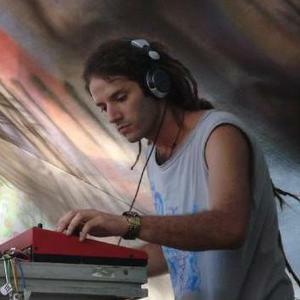 2) Ital, musician of chilean origin, sound engineer, label manager of Antu Records Chile, producer of Psytrance music and dj, has been in contact for more than 13 years in the musical world, starting his carrier like a guitar player, going through several styles of popular music, until he arrived to his true passion: Psychedelic trance music. He started the year 2001 with his friend Andr?s Rodillo with whom he got involved into the production of Psytrance electronic music, forming one of the pioneering projects of the local scene: ?Metatron?. In the beginning, experimenting with samplers, synthetizers and audio softwares allowed them to introduce themselves in the national electronic world, playing live and with great success in different places of the country. Three years later, in 2004, he decided to create his own project, ?Ital? , that in Patois african dialect it means purity, and which he uses to promote himself in different scenes of Chile, Europe and America. Because of this, each production of Ital has like fundamental concept the expansion of all the purity that surrounds us, canalizing through music all this divine and universal energy that surrounds us to be given and to be projected like sound waves towards our surrounding universe. His style is characterized for being a Groove Full on with a very own character and style, full of atmospheres, much groove and psychedelia. Since september 2007 he created and began the first psytrance chilean label denominate: ? Antu Records ? which name comes from the indigenous Chilean language that means sun. The purpose and intention is to expand the light and divine energy all over the world through the psytrance music, to connect our selves with our roots and feel our hearts full of spiritual healing. Has shared scene with big name projects from the international psytrance present scene from all the continents, among them: Dickster, Tristan, Zen mechanics, Headroom, Liquid Soul, The First Stone, Burn in Noise, Rinkadink, Amd, 28, M-theory, among others... Has play in countries like Germany, England, Brazil, Portugal, Czech Republic, Chile, Mexico, Argentina & Ecuador.